You must select a service below even if you have made a purchase of $400 or above. 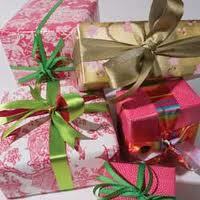 We do not gift wrap unless you request by making the selection below. ***If you select FREE Gift Wrapping below and you have not purchased over $400 in merchandise we will not provide gift wrap. You must make the correct selection below. This does not consider shipping costs as this is mearly a pass through cost. Questions? Call us - 1-800-919-1175. Thanks for shopping FOR YOUR KITCHEN.